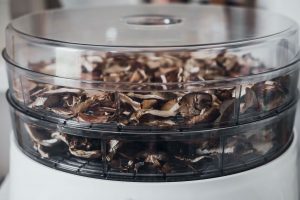 When you are in the market for a food dehydrator, the number of options can leave you a little dazed and confused. So to help keep you happy and focused, we have done some research for you. 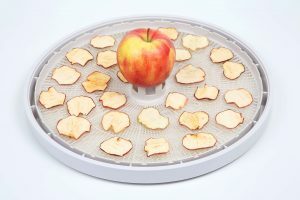 In this review, we take a look at the Aroma Housewares professional food dehydrator. We will tell you about its features, its good points, and its not-so-good points. 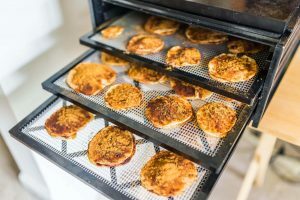 We will also give you our verdict, so you can get an idea if this food dehydrator will work for you and if it is as professional as its name suggests. comes with a large capacity, and a rear mounted fan for even drying and crispness. 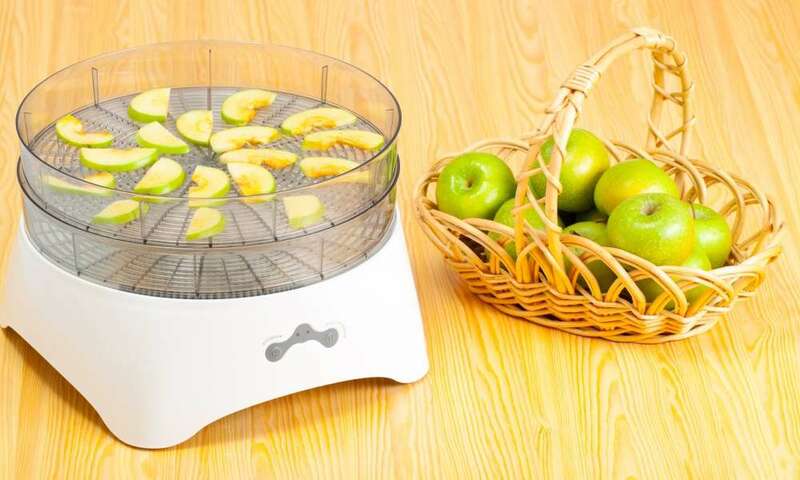 So as a horizontal model it has circulating airflow and automatic fans, so there is no need to rotate the trays. It has an adjustable thermostat and 400 watts of power behind its motors and heating elements. 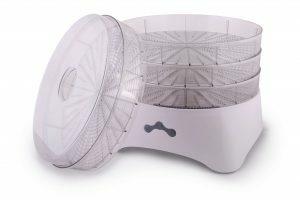 It includes six BPA free plastic drying trays that are height adjustable. Each tray can also support up to a pound of food (or about 450g for our metric friends). It also has a drip tray to help keep things clean. Finally, it has a black metallic case. But let’s take a look at the pros and cons so you can see if it does what it promises. This Aroma Housewares Professional is a very versatile food dehydrator. 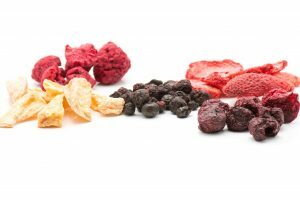 You can make trail mix, fruit rolls, dried herbs, potpourri, jerky or dog treats and you can even make yogurt in it. 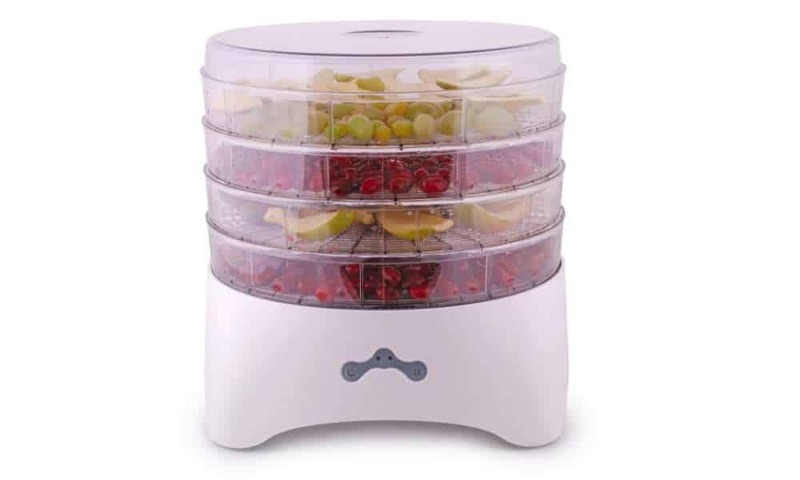 This Aroma Housewares Food Dehydrator is completely enclosed so there is no unnecessary heat loss. 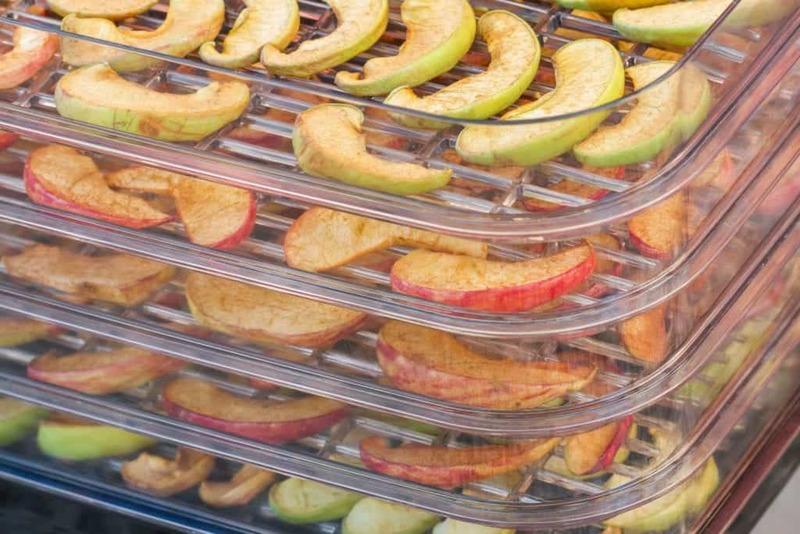 It dries evenly, and you don’t need to rotate the trays. It has a good capacity so you can do quite large batches of food at the same time. It also runs quietly, and you can check on the progress of your snacks through the transparent front cover, so you will know where you stand. The drip tray that picks up any residue also helps to make cleaning easy. It is quite light, so you won’t have too much trouble moving it around. It also has a durable rectangular design. In the positives, this unit seems to win on almost every feature really. To keep things fair let’s look if it really is so good. On the negative side, we have to mention that the heating element can fail after continuous use, so keep an eye on it. 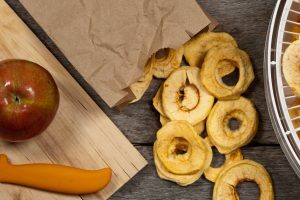 It also does not have a built-in timer, so you will need to keep an eye on the clock or set a phone reminder to know when your snacks are ready. 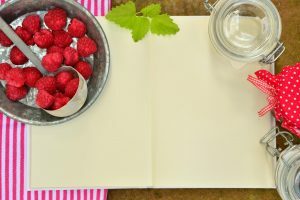 The instruction manual doesn’t offer much new information, so you will need to do your own research for recipes and the best operating temperatures. 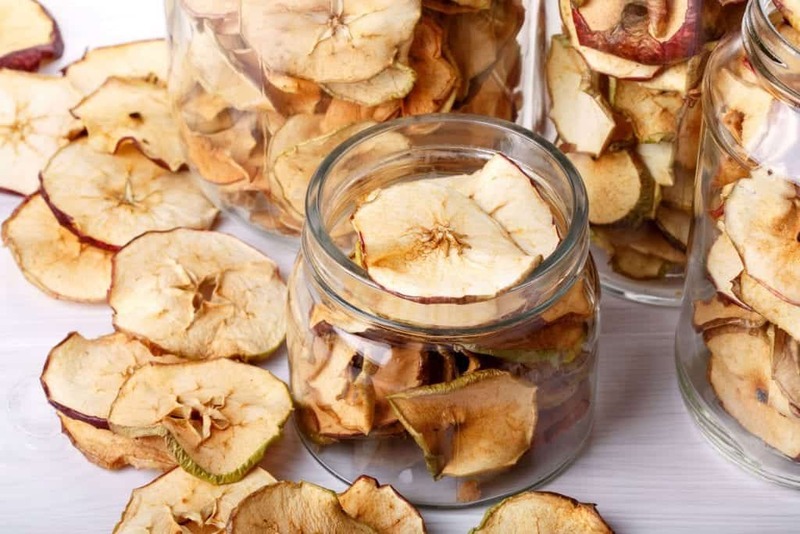 But if you compare the positives of this dehydrator to the negatives, it is clear that this Aroma Professional is a dehydrator that does its job. is a good solid product that can handle different types of dehydration needs without trouble. 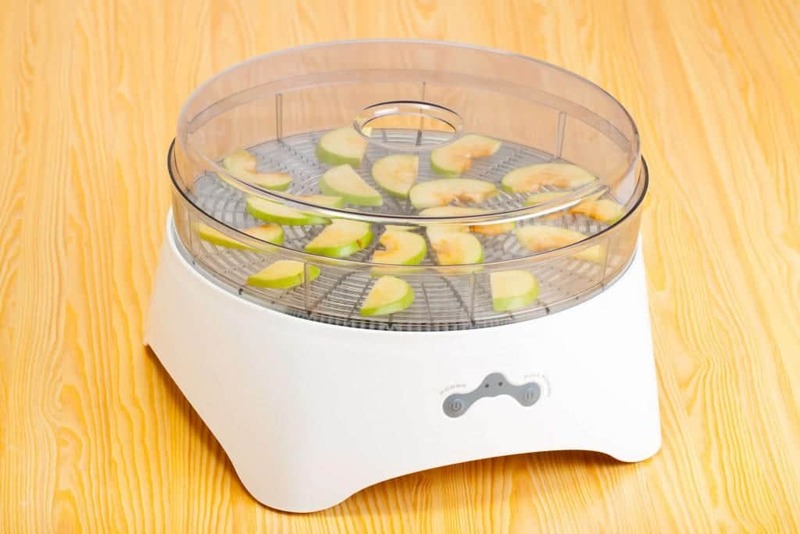 It is a good mid-size dehydrator and offers good value for money. It covers all the bases of a good mid-size and mid-price appliance. It is easy to use, durable and has a capacity for the most ferocious snacker. It can handle a variety of different foods and has specific trays for smaller items. This is the ideal choice if you often need to dehydrate fruit, have a jerky addiction or just want to start living a little healthier. This is one of the best mid-range models available, and we can recommend this guy without any reservations.